These one-off creations are reserved for Ferrari's favorite customers. 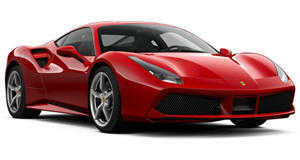 Since announcing its Special Projects Division some ten years ago, Ferrari has been dedicated to creating one-off cars for its best and wealthiest customers. Now, the Italian carmaker is pretty snobbish about who is allowed to buy their cars so you can imagine the list is pretty damn exclusive. In fact, not all of the one-offs have been seen in public. However, if you see the letters "SP” in the title, you know where it came from. Of course, Ferrari did make some one-of-one models before Ferrari Special Projects, and we won’t ignore those. James Glickenhaus of the Glickenhaus & Company investment empire wanted. To build his mashup of new and old, took an unregistered Ferrari Enzo chassis and went to town to build something that, reportedly, a member of the Saudi royal family offered Glickenhaus $40 million for. That would have been one hell of a profit as he reputedly spent $4 million to have it built. The very first Special Projects car was built for Japanese businessman Kazuo Maruyama. He's clearly a top Ferrari customer, and was actually Japan’s first Ferrari owner. Maruyam owns a fleet of Ferraris, including a car that won at Le Mans, and he managed to badger Ferrari's Modena headquarters to restore his . Reportedly, Maruyama was a huge fan of the 1998 Fioravanti F100 concept car, which is the inspiration for the F430-based SP1. Little was changed apart from the body, which doesn’t sound exciting but the Fioravanti SP1 is quite beautiful to behold. 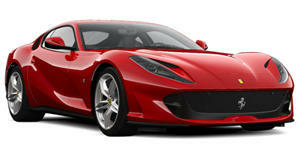 Possibly one of the best-looking one-offs to come from Ferrari Special Projects so far is the . It's based on a , including its wondrous naturally aspirated 4.5-liter V8 making 597 horsepower. The Speciale MM takes its styling cues from the and the , and is finished off perfectly in "Bianco Italia" paint with an Italian flag livery. One of the latest Ferrari one-offs is reported to have been commissioned in 2018 by the classic Ferrari dealer, and fan of Pop Art, John Collins. The roadster uses a "Giallo Modena” and "Azzuro Met” livery over the "Bianco Italia” blue leather interior. The is based on the rather than the so it has a screamer of a naturally-aspirated V12 as well as no roof. The EC stands for old Slowhand himself, Eric Clapton. and got together with the Pininfarina design studio to create this one-off based around the Ferrari 458 Italia with inspiration taken from the classic Ferrari Boxer models. The makes for something that looks very, very special indeed. This one-off open-top Barchetta version of the is inspired by the 250 Testa Rossa race car. The legendary race car was named Testa Rossa, meaning "red head” in Italian due to its red-painted cylinder heads. If you look through the window on the hood, . With the help of Pininfarina, the SP 275 RW Competizione fuses the modern stance and performance of the F12berlinetta with the iconic styling cues of the classic 275 Berlinetta. The bright yellow and the vents are a bold tribute to the Ecurie Francorchamps 275GTB that won the GT class at Le Mans in 1965. Our own Jared Rosenholtz . The was commissioned just before Ferrari started its Special Projects division. It’s the brainchild of the New York real estate giant Peter Kalikow who wanted to celebrate the 45th anniversary of buying his first Ferrari, a 1961 Ferrari 400 Superamerica. It’s heavily derived from the Ferrari and is topped off by the single piece carbon roof that slots away into the rear deck when removed. 45 seems like a random number, but if you have the money you can celebrate whatever you choose and how you do it. The chassis and was built for Corse Clienti racer Deborah Mayer. You can see in the rear wing and carbon-fiber clamshell cover for the engine that SP38 is heavily influenced by the F40. When Mayer picked her SP38 up in Maranello, she took it straight out to the Fiorano circuit to lay down some laps like a hero. Based on the F12 Berlinetta, the and was commissioned by American business magnate Danny Wegman. The design is heavily influenced by the 250 GTO, from the aggressive rear lip to the openings on the hood. There are some more subtle design references, and we love that the SP America is not too obvious about its retro roots. This one is definitely a matter of taste, particularly the rear quarters. 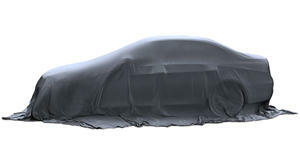 The base car is a but the Superfast Aperta is heavier due to the extra chassis strengthening required to lose the roof. It was built for Edward Walson, son of the man who created cable television, in 2008.